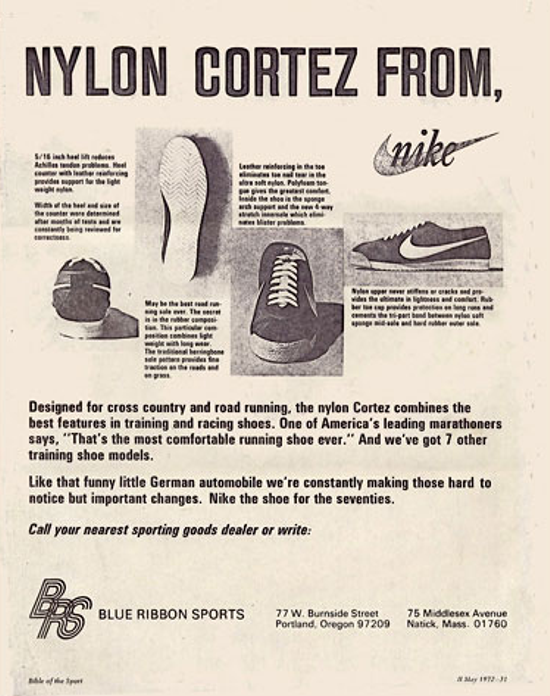 Before the Cortez saw the light of day, there was a previous chapter in the mid-1960s. “A tiger hunts best when he’s hungry,” said Bill Bowerman, the American track and field coach and co-founder of Nike. And working together with Japanese footwear company Onitsuka Tiger, he developed a hungry running shoe that could eat up the pavement with its aerodynamic upper and continuous foam midsole supplemented by a herringbone-patterned outsole. 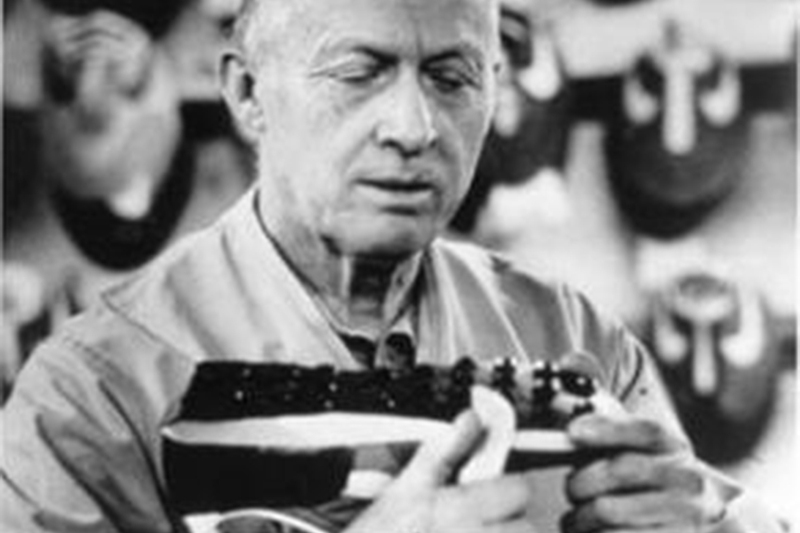 The rest is history: In August 1966, Bowerman ordered 300 pairs of his creation, the “TG-24/Shoe designed by Bill Bowerman w/Mexico Line” for distribution in the United States. 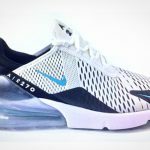 Despite the unwieldy name, it checked all the boxes of what athletes were looking for and became one of the best-selling runners of the year. 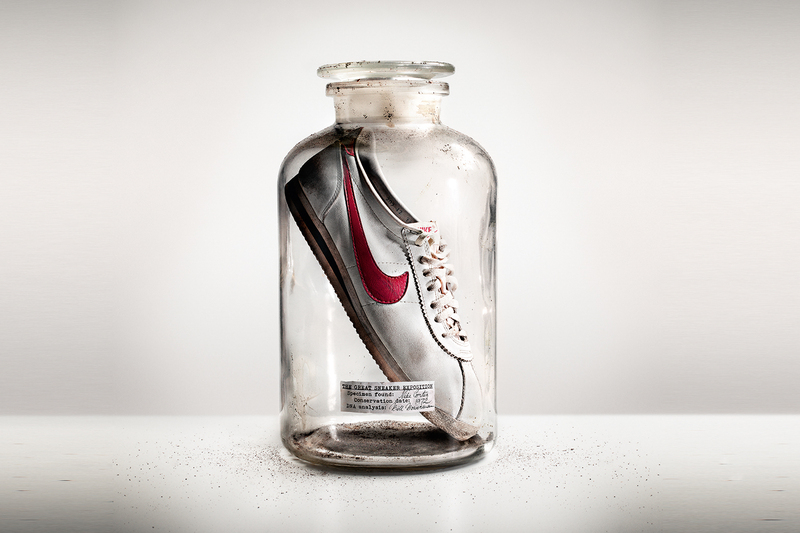 In those days before Nike was even founded, Bowerman and his partner Phil Knight operated their Oregon-based company under the name Blue Ribbon Sports (BRS). 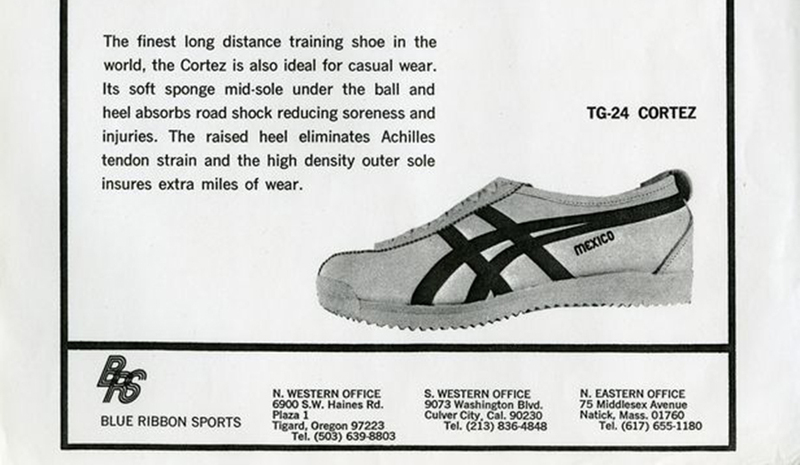 Opened in 1964, BRS was importing performance-ready shoes from Japan to the US and found a hot market in running culture. 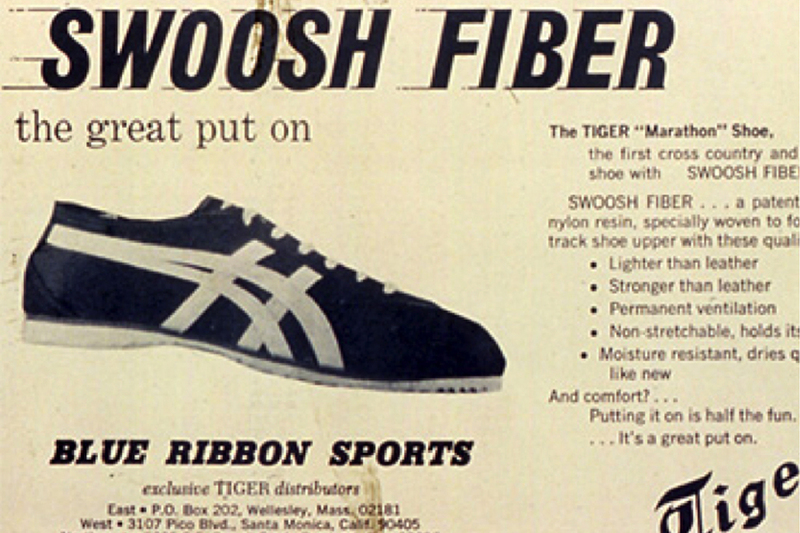 In 1967, Bowerman changed the shoe’s name to the more market-friendly title “Mexico”. This change was inspired, of course, by the upcoming 1968 Summer Olympic Games in Mexico, which was a huge motivator for Bowerman and his running team. But even that name only ran a few laps, as a major change was right around the corner. 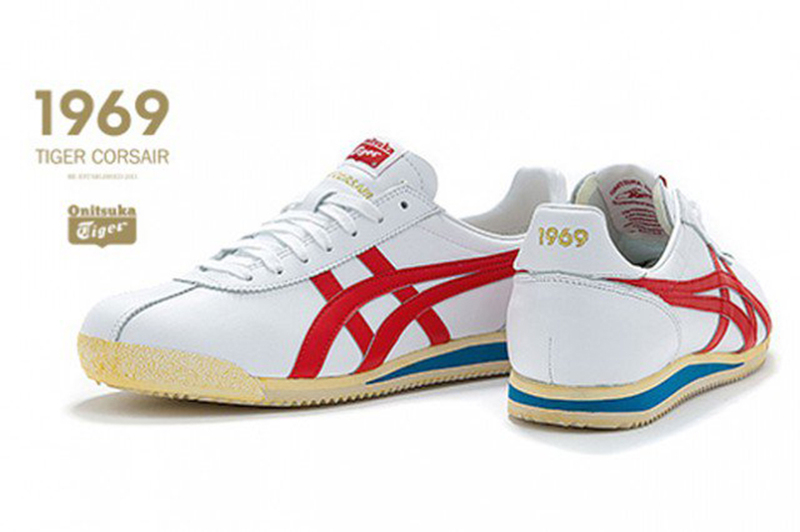 As the actual year of the Olympic rolled around, the team at BRS and Onitsuka Tiger wanted a flashier name. Calling the shoe “Aztec” – based on ancient Mexican history and the Aztec empire – was an okay fix for a while, but drew some legal attention when on February 13, 1968, a letter from Herzogenaurach arrived: Apparently, using the Aztec moniker on a running shoe proved too close to the adidas “Azteca Gold” track shoe with spikes. So it was back to the drawing board for Bowerman. In search of a new name, BRS zeroed in on “Cortez” – allegedly chosen after the conquistador Hernán Cortés who defeated the Aztecs (take that, adidas!) – and the TG-24 “Cortez” became an instant bestseller. 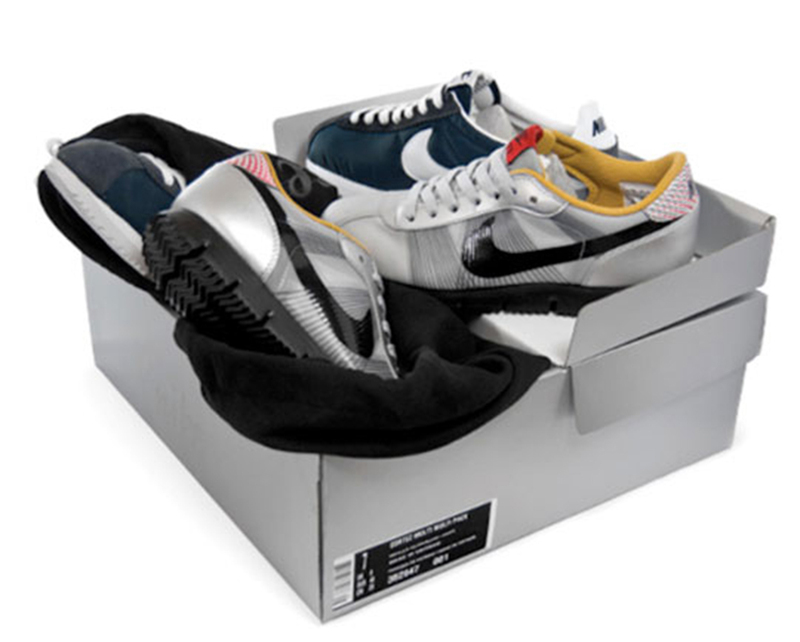 Beyond “serious” athletes, the Cortez struck a note with the trending casual running – or “jogging” – movement and also looked cool enough to be worn as a lifestyle shoe. 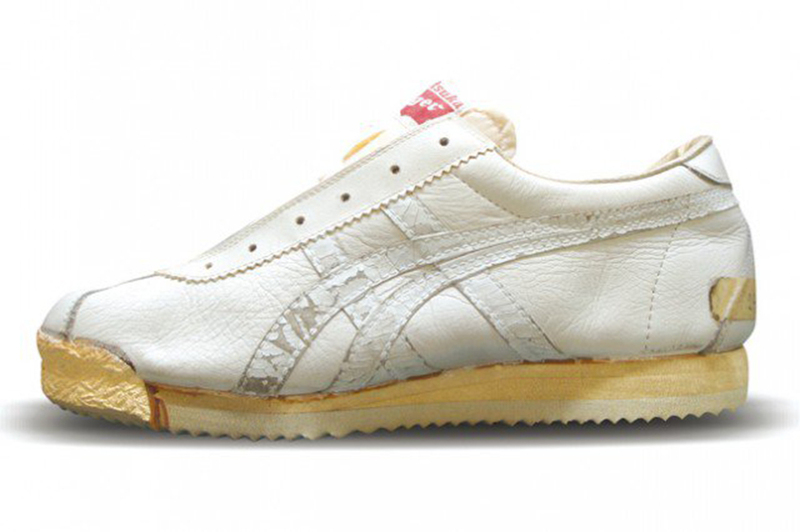 It was the #1 best-selling shoe in the history of BRS and Onitsuka Tiger, but behind the scenes, trouble started brewing. Bowerman and Knight changed the name of their company to Nike Inc. – inspired by the Greek goddess of victory – on May 30, 1971. 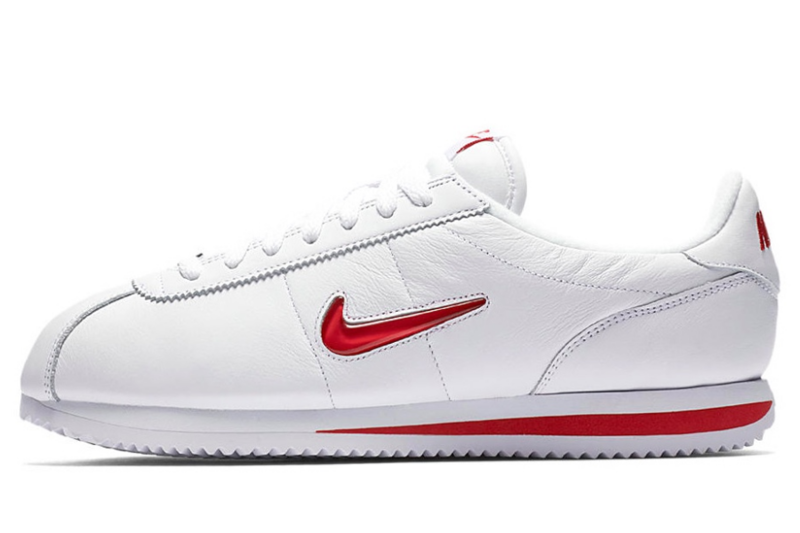 They decided to introduce their own line of shoes, featuring the “Nike Cortez”, which started a year-long battle with Onitsuka Tiger over who gets the rights to the “Cortez” name. 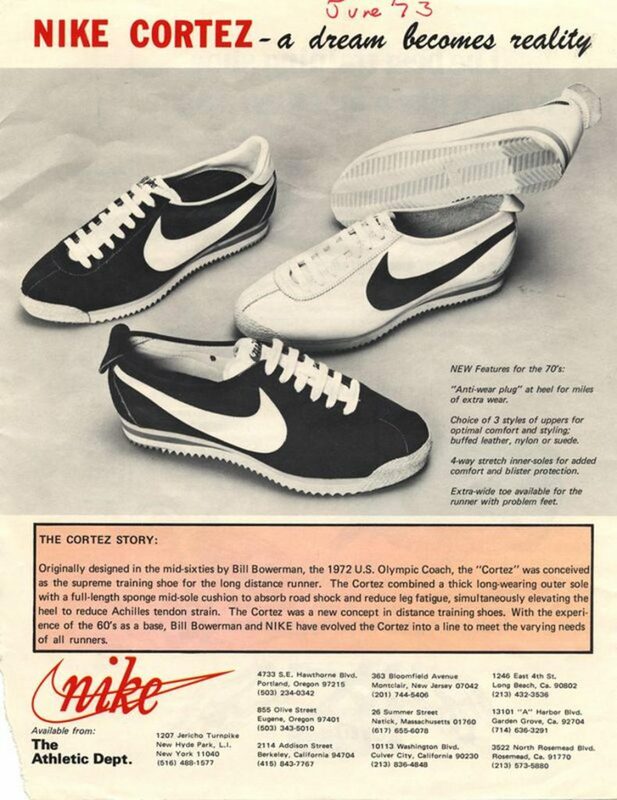 Both companies continued to sell shoes with similar designs under the Cortez name, until a court ruled in Nike’s favor in 1974. This led Onitsuka to rebrand the shoe with a re-worked design as the “Tiger Corsair,” which is still a popular shoe, by the way. 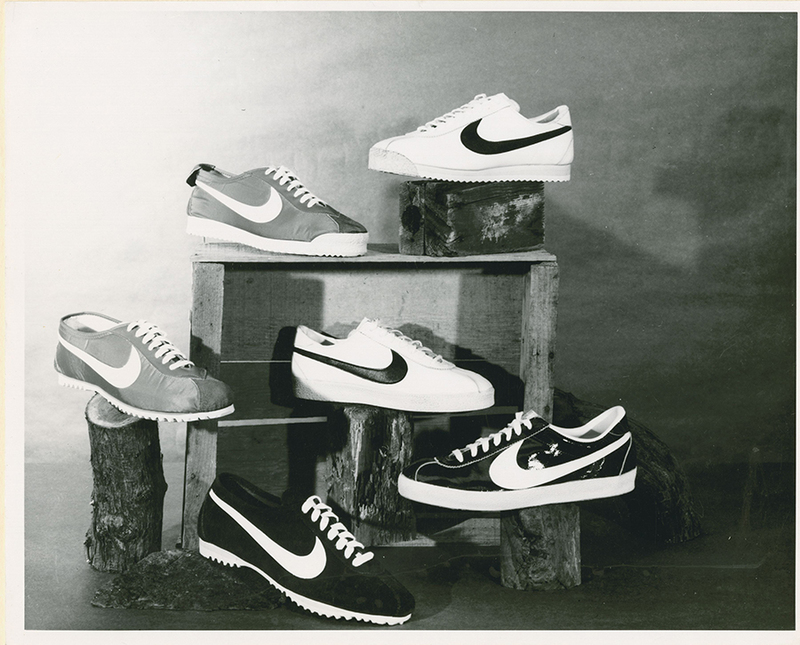 At the National Sporting Goods Association (NSGA) tradeshow in Chicago, Nike introduces three models: The Marathon, Obori (later known as “Boston”) and the Cortez. Having secured their first pro athlete endorsement with Steve Prefontaine, Nike also introduces the Swoosh to its footwear designs. Determined to develop the lightest running shoe of all time, Bowerman switches the leather upper for a lightweight nylon construction. Introduced as “the world’s lightest running shoe,” the Nike Nylon Cortez proves popular in classic white and also with blue colorways. 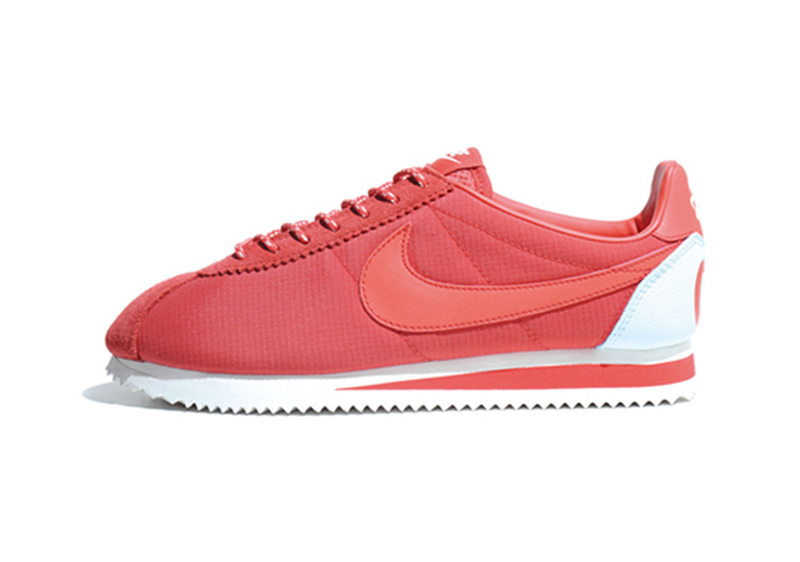 Did we mention there was a women’s version of the Cortez, labeled the Senorita Cortez? That shoe hit the big time when it was worn by actress Farah Fawcett in the hit TV show Charlie’s Angels. In the episode “Consenting Adults,” the Hollywood star races downhill chase scene on a skateboard in the Nike Cortez Seniorita. Right after the episode, sales went nothing but uphill – fast! 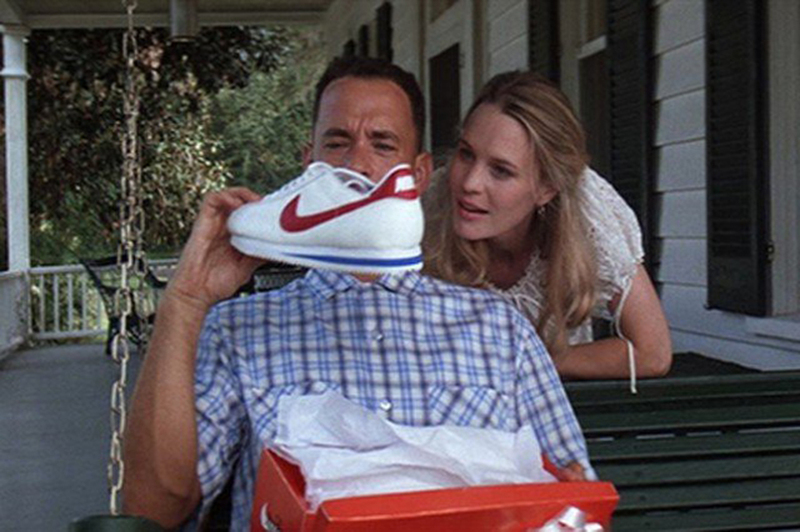 In the early 1980s, the Cortez is starting its victory lap in pop culture. 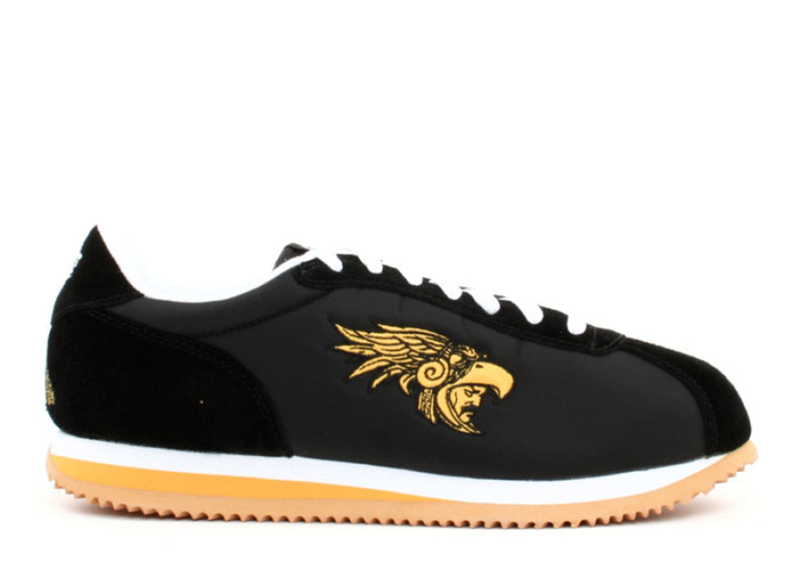 Singer Elton John had already been working together with Nike since the mid-1970s and the collabo spawns a love child in the form of the Cortez/Roadrunner Mix. 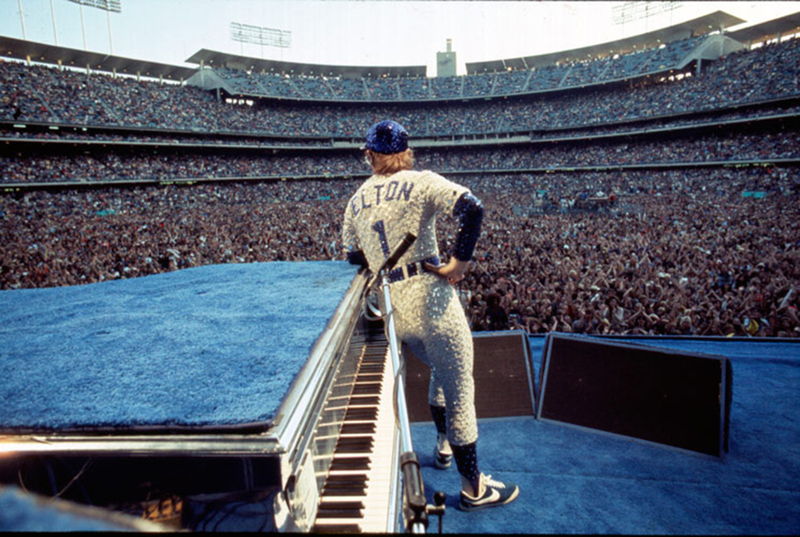 In 1980, Elton John makes the relationship official: After having already traded concert tickets valued $16,000 for Nike merchandise, he dedicates a song at one of his concerts to his “good friends at Nike.” He commences to place his foot onto the piano, showing the rocking Cortez to the music world. 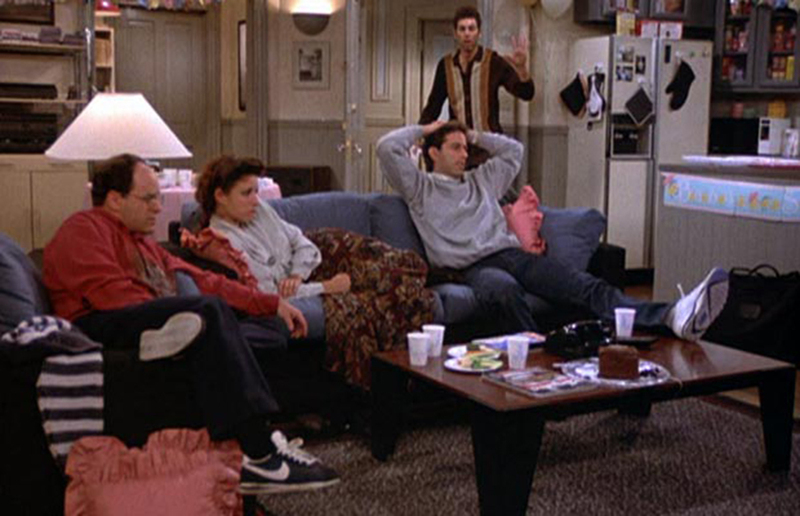 The hit series Seinfeld was, at least according to creator Larry David, a show about nothing. 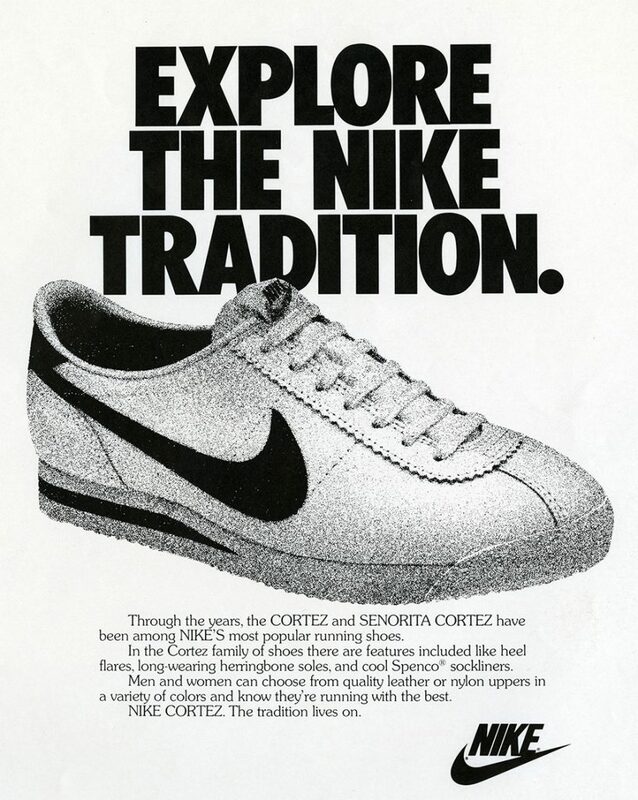 But there was something in it for the Cortez, as they became a staple part of the uniform of protagonist George Costanza. Allegedly, when the show was over, actor Jason Alexander asked whether he could keep a pair of Cortez as a reminder. The streets are watching. 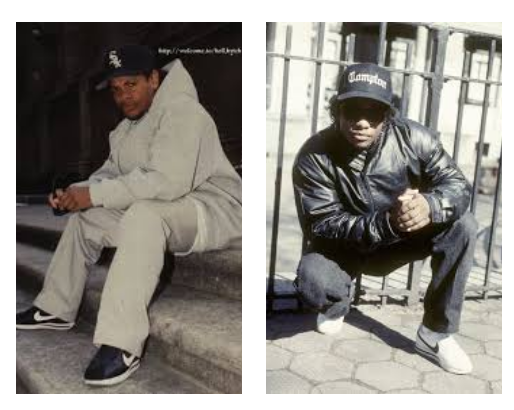 With its iconic status in hip-hop and LA-culture, the Cortez was bound to receive the special treatment by tattoo artist and Soul Assassins affiliate Mr. Cartoon. 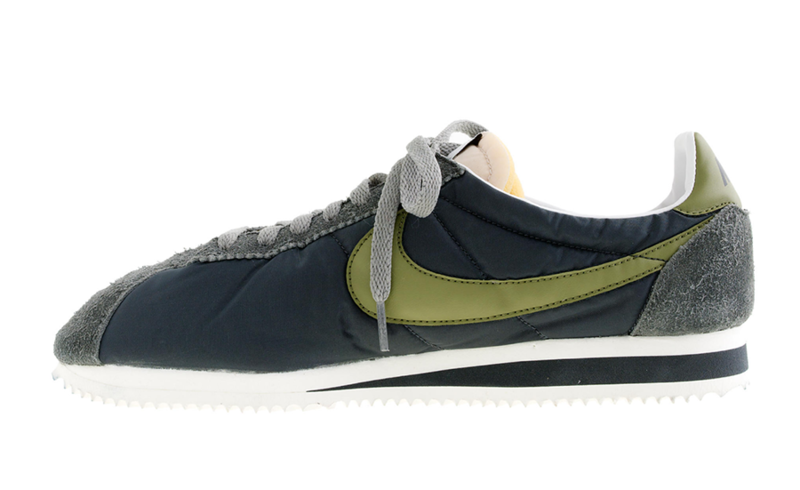 Making things official, Nike released three editions of the Cortez in 2005. Highlights included the black colorway with an Aztec symbol instead of the Swoosh as well as the white version with an integrated LA-logo. Here comes double trouble. 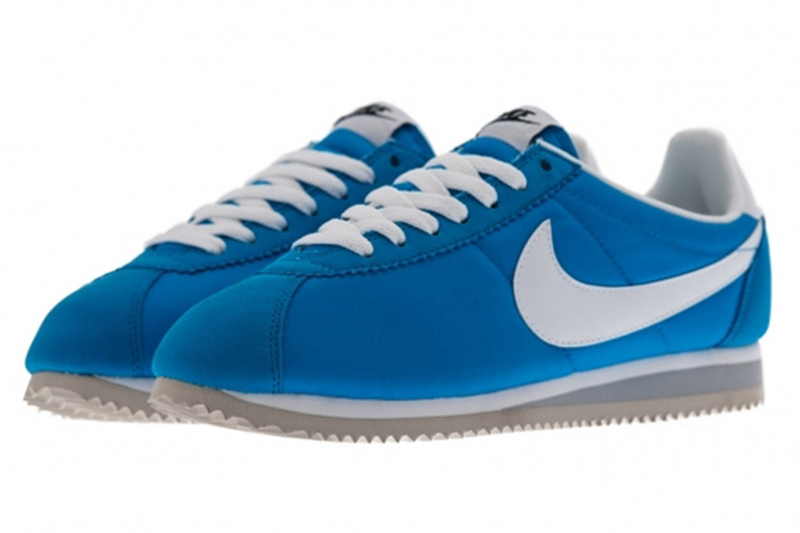 The Nike Cortez Brothers Double Pack consisted of a blue Nylon Cortez and a silver-metallic Cortez Flymotion, which was technically another milestone on the way to creating the world’s lightest running shoe. Tiger Style! 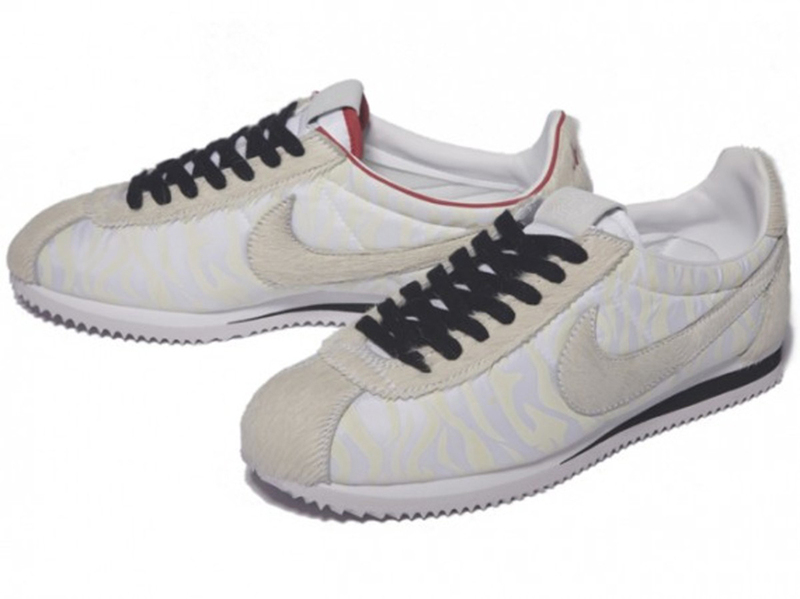 In February 2010, the Chinese horoscope begins the Year of the Tiger, and Nike is on board to celebrate with a special edition of the Cortez that has been fondly remembered ever since. Featuring an embroidered date on the tongue, the white Nylon sneaker is one for the ages. 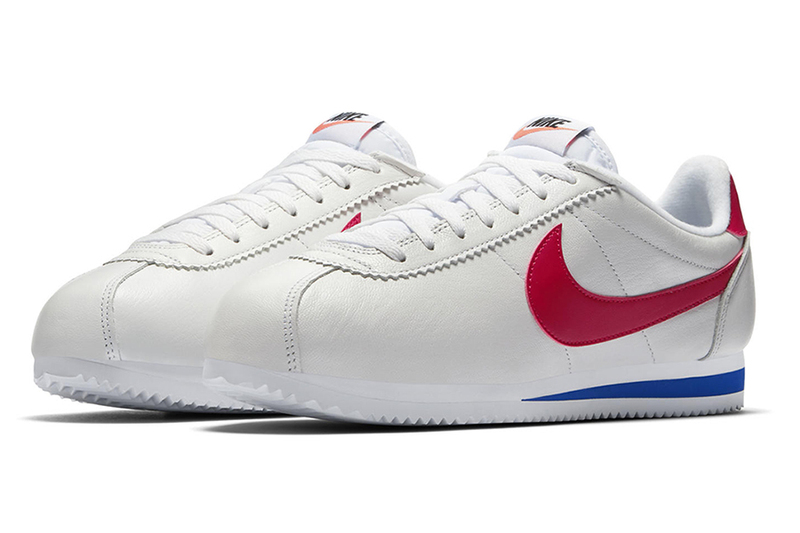 Nike goes all out for the 40th anniversary of their iconic runner and brings back the Cortez in a wide variety of colorways. GQ magazine is excited: “The Cortez was once the most advanced running shoe on the market; now it’s a perfectly nostalgic sneaker for the street. We think the freshest way to wear a pair is with a suit that can use a kick of color.” And for those who like it classic, the Cortez Leather also made a return in all its black elegance. 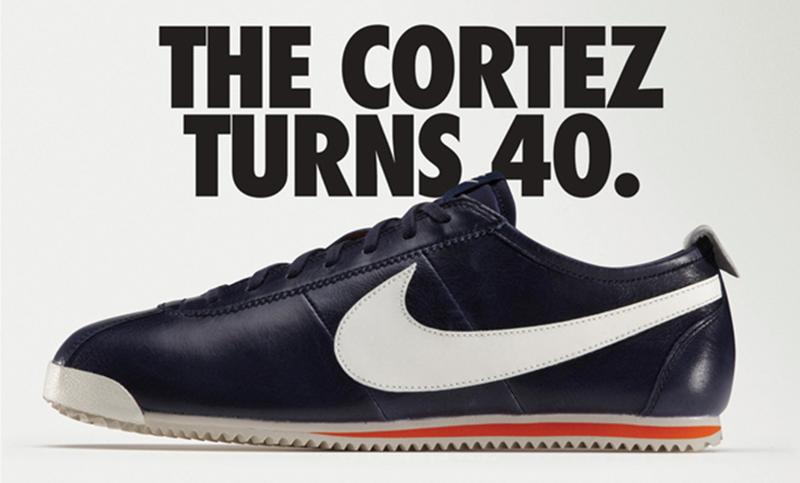 The Cortez has deep roots in Asia since it started as an imported shoe from Japan. Showing some love to the Eastern hemisphere with the Nike Cortez “Asia City Pack”. The super-bright shoes feature the Retro Nike Pinwheel logo on the heel-tab and abbreviations of the following cities: Beijing, Shanghai, Guangzhou, Hong Kong, and Taipei. Vintage style. Taking it all the way back to the old school, American apparel retailer J.Crew cooked up the Vintage Collection Cortez. Finely appointed details include 1970s-grade nylon, aged laces and an exposed, weathered foam tongue. According to J.Crew, the latter is, “an old-school detail you won’t find anywhere else.” Nice one! Another one worth camping out for! 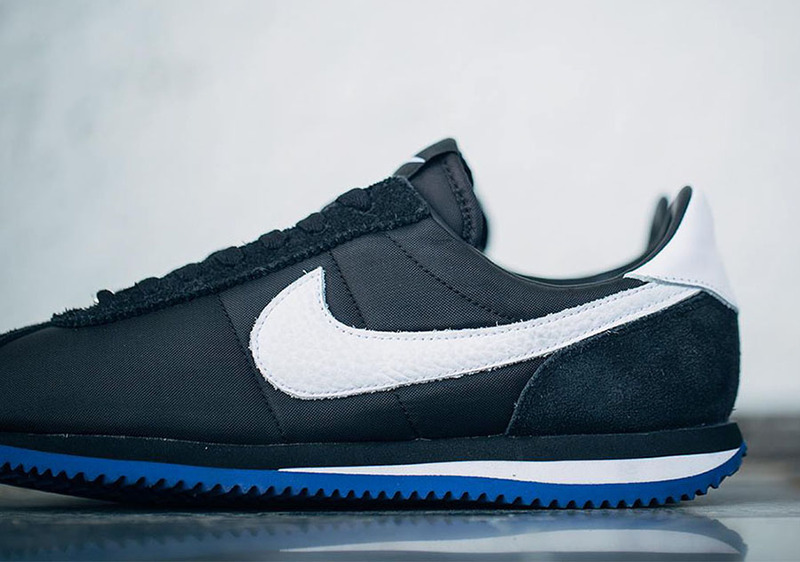 The UNDFTD x NikeLab Cortez SP “LA” featured a black nylon and suede upper with white supplemented by Dodger-blue accents. The letters “L” and “A” on the heeltabs let folks from the City of Angels proudly rep their town. Rounding out the look, the UNDFTD x NikeLab Cortez SP “LA” also included UNDFTD logos on the insoles. It’s all in the details. You know when that Cortez bling, it can only mean one thing: Get shopping! 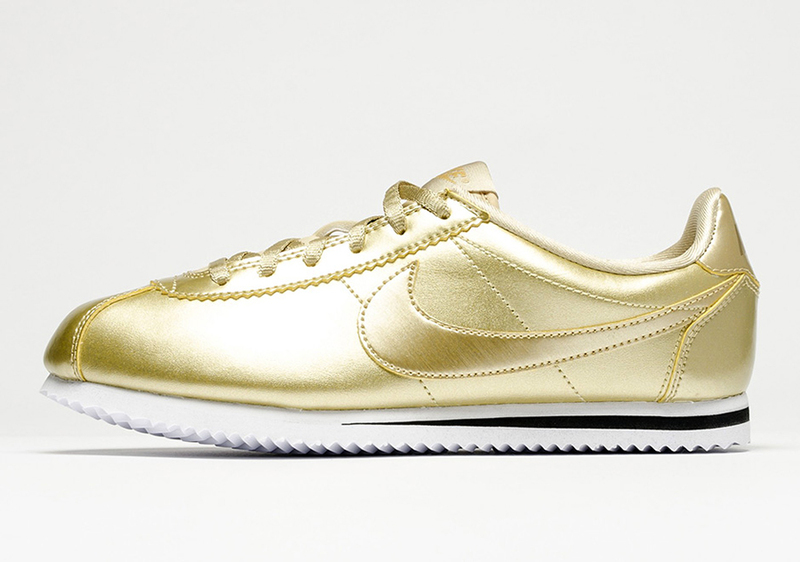 In 2016, Nike brought back the Cortez in a shiny gold materialization for big flair points, but only in small sizing. There was also a silver version with equal bling power. So if the shoe fits, definitely wear it. With so much drama in the LBC, it’s always important to remember the good times. Like back in the day when everyone wore their colors on the Nike Cortez. 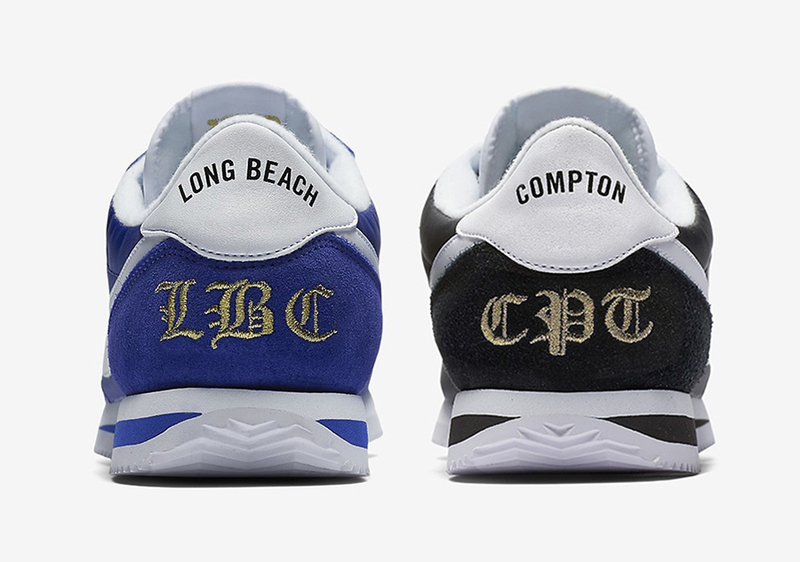 Celebrating the 45th anniversary of the classic in style, Nike released the Nike Cortez “Long Beach” and Nike Cortez “Compton”. With Chicano-style lettering on the heels and carefully chosen colorways, the drop was accompanied by interviews with LA legends such as tattoo artist Mister Cartoon, designer Janae Roubleau, and model Alexis Quintero. Elevated details! 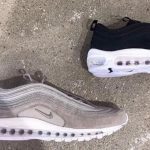 The year 2017 marked a peak in popularity of “Jewel” Nike editions with smaller Swooshes in shiny materializations. The Cortez joined the party in June 2017 with Nike Cortez “Jewel” editions in “Rare Ruby” and “Black Diamond”. Boasting an all-white upper, the Jewel drops are adorned with color accents on the Swoosh, midsole, tongue and heel tab.